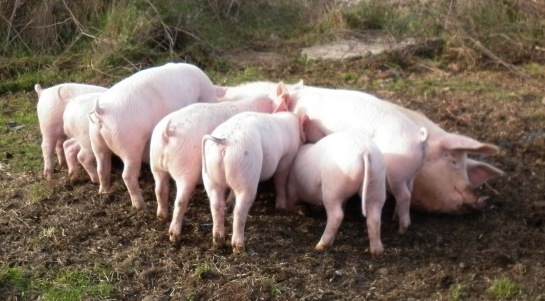 All of our livestock are raised ethically and treated as humanely as possible. We use natural fertilisers on our pastures of kelp and fish which gives us optimal soil health which then transfers to healthy animals. Our animals enjoy a rotational grazing environment where they move onto fresh pasture every few days, this gives us optimal growth from our improved pastures and also ensures our animals are not kept on grass which may be more susceptible to worm burdens or other parasites which may be present in overgrazed pasture. We use natural management methods wherever possible with our stock, following many of Pat Coleby's management practices. 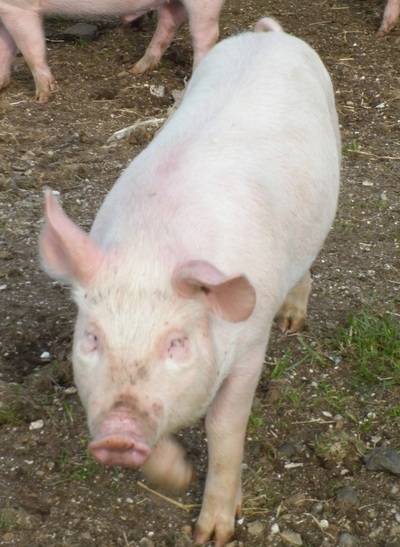 This does not mean we will not resort to veterinary intervention if we feel it is necessary and the use of antibiotics if they are required, but this is not our first avenue of treatment to manage the health of our animals. All use of antibiotics is carefully recorded and with-holding periods strictly adhered too. We transport our own stock to abattoirs and ensure they are handled in the most stress free manner possible, timing delivery to ensure they are slaughtered as quickly as possible after drop off. All of these management practices on farm ensure you are getting the best eating quality of the meat we make available to you our customers. We are the producers of high quality Dexter Beef, a superior eating experience. Our cattle are ethically raised, finished purely on grass grown with organic fertilisers & quietly handled. The result is guaranteed tasty & tender quality beef. What is the difference - well that would be the fine grained texture of the meat, with outstanding intramuscular fat often referred to as marbling, which makes cooking a tender piece of beef every time, easy. 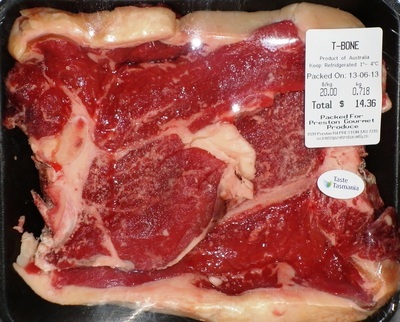 Our beef also has extra taste & flavour than other beef breeds. The Dexters have a naturally quiet temperament which means they do not stress, & a quiet animal results in tender beef every time. 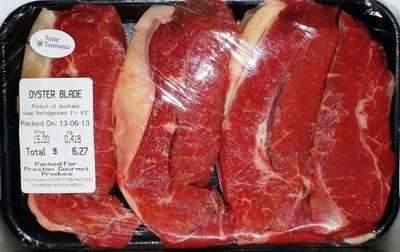 Dexter beef is sought after in restaurants in the United Kingdom, where Dexters are more prevalent. The smaller cuts & tenderness make this a delicious experience every time. Even some of the cheaper cuts like chuck or round, are still more tender than most. The smaller cuts also make portion control easier for families , making beef an affordable meal for the whole family & not just on special occasions. 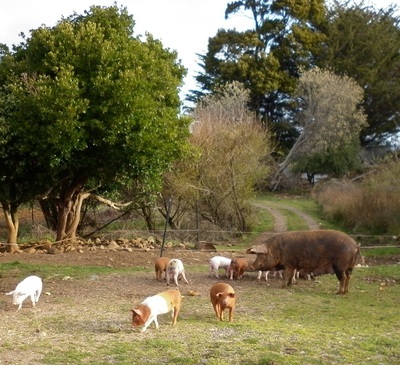 We raise our piglets in the best possible environment, they are free to roam a vegetated area and are supplemented with a grain based pellet. They grow out to around a 50kg carcase and we are producing some of the highest quality pork, ham and bacon. Supplies are limited of pork and we will be advertising when we have this produce available. 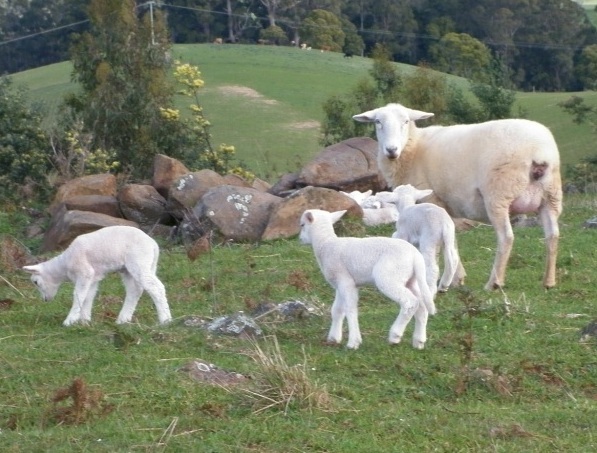 Our lamb supply is again limited, due to the small number of ewes we have. But we aim to supply the best quality lambs as possible. They are Wiltshire and Wilstshire X Dorper which are both breeds of sheep bred for their meat qualities. Lamb will be available after Christmas, most years. Some of our meat is sold in cryovac, this means that the air has been removed to prevent spoilage. Cryovac produce can last up to 42 days in a refrigerator and kept below 4 degrees celsius. It does often give off a gas like smell when opened and the meat is exposed to the air, the meat is not off and this smell usually dissipates once the meat is reoxygenated. 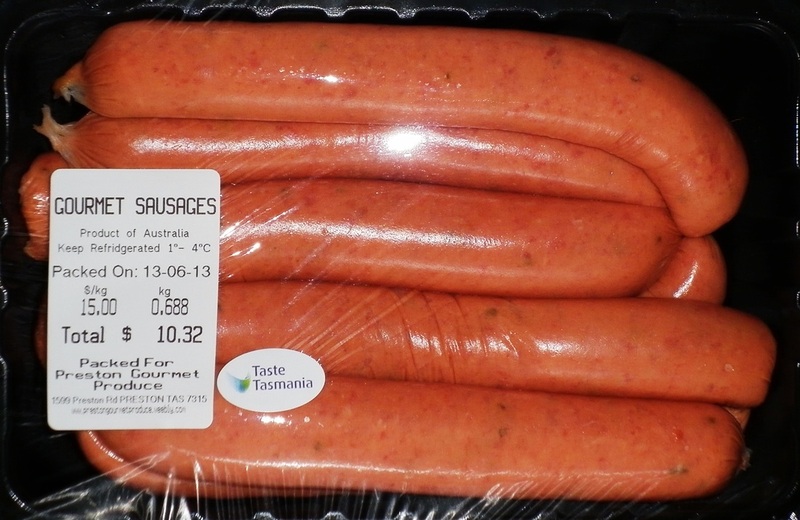 Our sausgaes are soft vaccuum packed, which means not as much of the air is removed, these products have a shelf life of about 10 days if kept refrigerated. Our other meat is presented in trays with no preservatives added, it needs to be used within a few days of purchase or frozen to retain its freshness.